Enter your name and email address below to receive our News Letter! We desire to write and publish Gospel tracts, doctrinal tracts, apologetic tracts, and applicational content from the Scripture on how one ought to live a life that will glorify God. Distributing content is not a difficult thing. Having tracts will give the ability for preachers to engage with others. Some may receive the tracts; some may not. But, it is easier than asking someone to sit down and talk for a moment. The tract acquired by the person can impact the recipient immediately, or later at some point. Based on the 2011 Census, the literacy rate in the State of Andhra Pradesh is 67.4%. This means the majority of people are able to read. Providing literature has its own benefits. For example, a preacher cannot preach 24/7. 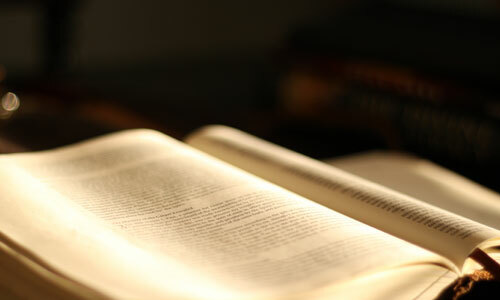 Having literature available to the readers will give them the option of enhancing their understanding of various topics and subjects from the Scripture when they read them. We believe that providing the literature also offers a chance for literates to share the content with others. Water is essential to regulate body temperatures and to maintain other bodily functions. Our body consists of 60% of water, and it uses water in cells, organs, and tissues. Many remote places do not have pure drinking water. 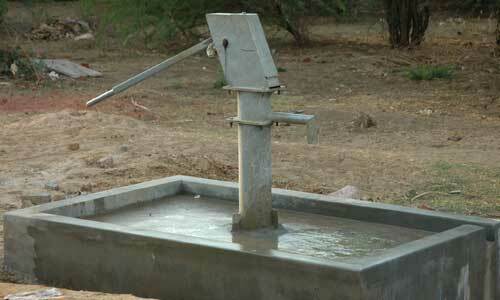 Therefore, we desire to provide a drinking water well that would serve for about five to seven years. How does this enhance the expansion of the kingdom of God? Great question! By providing drinking water, we open the door to converse with the people. During this time, we share the gospel of Jesus Christ. In the past and the present, we have great experiences and testimonies from those who come to draw water from the pump. They say, "this God provides us drinking water!" Isn't this a great declaration? We then share about Christ offering the "living water." This ministry is a great, and it has a significant impact on lives. Many came to know the Lord through this project. And, we hope and pray that people will come to know the Lord and glorify God with this provision. Building a visible Church would provide a place for the Christian community to worship the Lord in one place. The building offers not only a place to worship but also shelter. The most important thing with giving a physical structure is that its presence itself shares the existence of Christ and the testimony of Christ. However, there is another significance in providing a physical Church building. The Joy and happiness that we see in the eyes and hearts of the people to come together as "one body" and worship the Lord with all their hearts! The general Church service in India (in the rural places) goes about an hour and a half to two hours. Probably an hour with songs and an hour or more with the message from the Scripture. People sit on the floor; at times crosslegged, for hours; Pastors will go on preaching. It is a beautiful picture of the children of God pouring out their hearts to God! ​Why providing a Church under the administration of the Gospel Heritage Ministries? Isn't the Church autonomous, self-governed? Absolutely! We believe that very strongly! A Church should be self-governed. However, the administration part comes when supervising the construction process, and answering any questions during construction or after the process is complete. How can you help in this area? 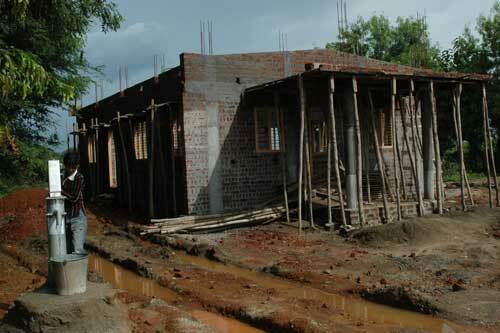 Pray and Sponsor a Church building! Every year in October, we would like to have a pastoral seminar for a week, where pastors from our State in India are invited to participate in teaching and to preach to our pastors. Why this ministry? God's people need encouragement from the Word. Specifically, pastors must be reminded what the Bible says about the office of Pastor and how one ought to carry out the mission that God has called them to do. Pastoral ministry isn't easy. It is complicated. There may be times where a pastor needs to be encouraged, and times where one should appreciate for the effort he puts in to win souls for Christ. For this reason, we hope to conduct pastoral seminars every year, inviting a team of pastors or a pastor to come and preach/teach the Word to us. The Pastoral Seminar is a form of discipleship or mentoring. Want to learn more about it? Please send us a note using the form below!